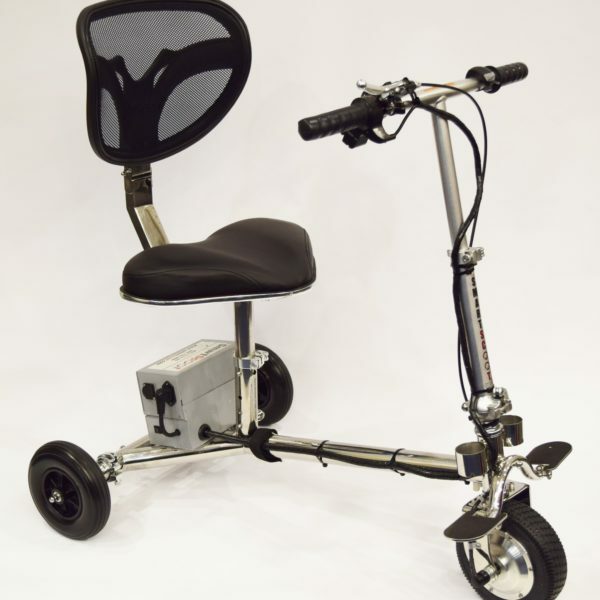 Easy to use, adjustable, foldable lightweight scooter. 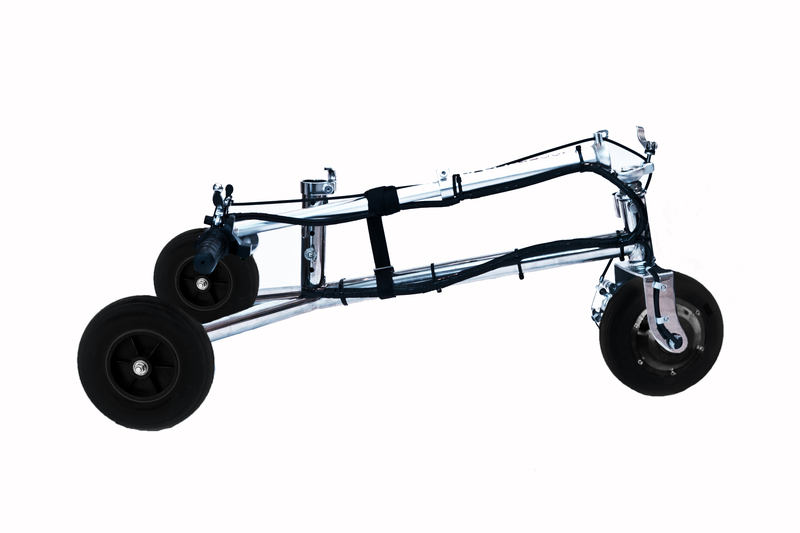 Fits in the trunk of most automobiles and in all SUV’s and vans. 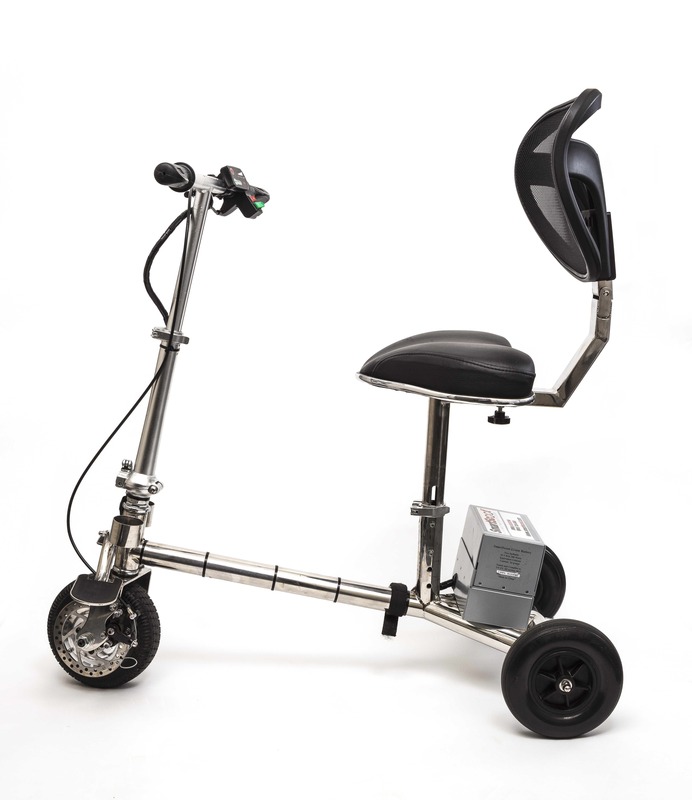 The SmartScoot™ lightweight mobile scooter has two folding options and three speeds, rear wheel settings and lighter mobility scooter pieces than other brands. 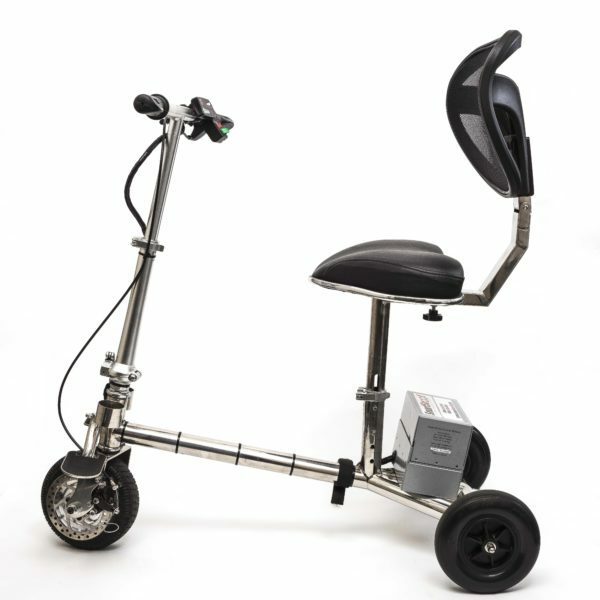 With a maximum speed of 7mph, adjustable from 3mph, SmartScoot provides the ability to cruise at maximum speed and a large bandwidth for speed adjustment. The SmartScoot leverages a 4lb lithium-ion scooter battery with up to 12 miles of range to SmartScoot mobile scooters while complying with FAA regulations for air travel. 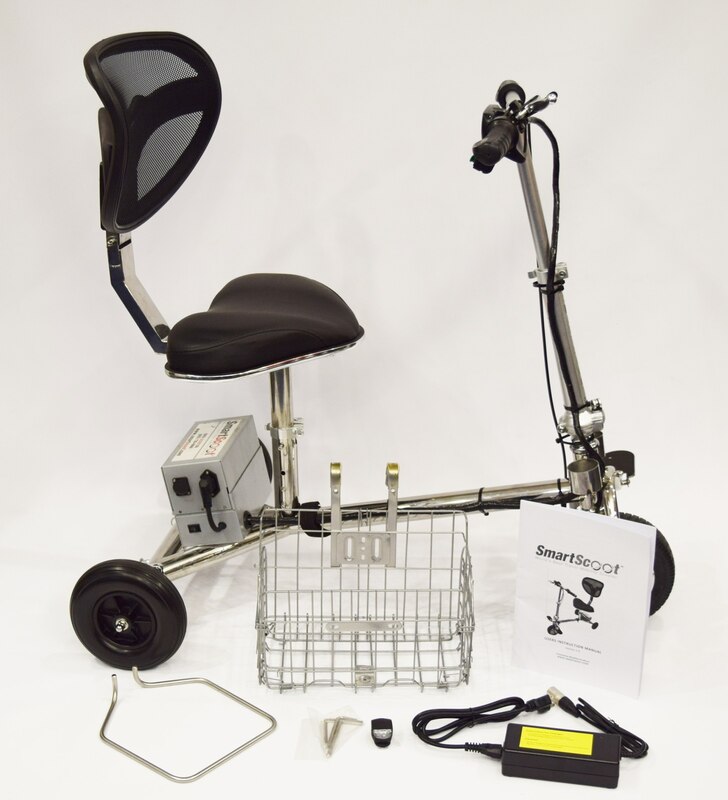 Every SmartScoot ™ purchase includes the scooter, rechargeable lithium ion battery, battery charger, removable front basket, luggage rack and LED handlebar light! FREE SHIPPING TO CONTINENTAL US AND CANADA! 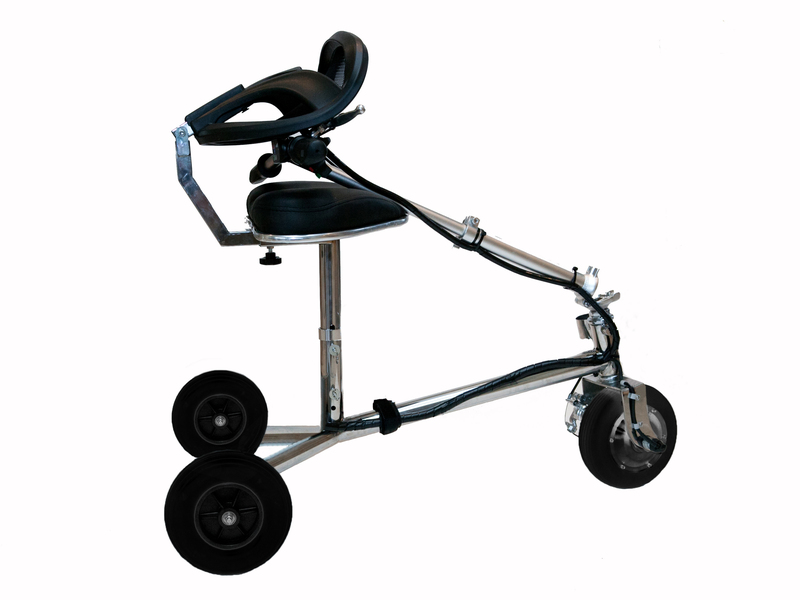 Easy to use, adjustable, foldable lightweight scooter. Fits in the trunk of most automobiles and in all SUV’s and vans. 36v, 8amp, 288 watt Lithium Ion rechargeable battery. Works specifically with SmartScoot™. 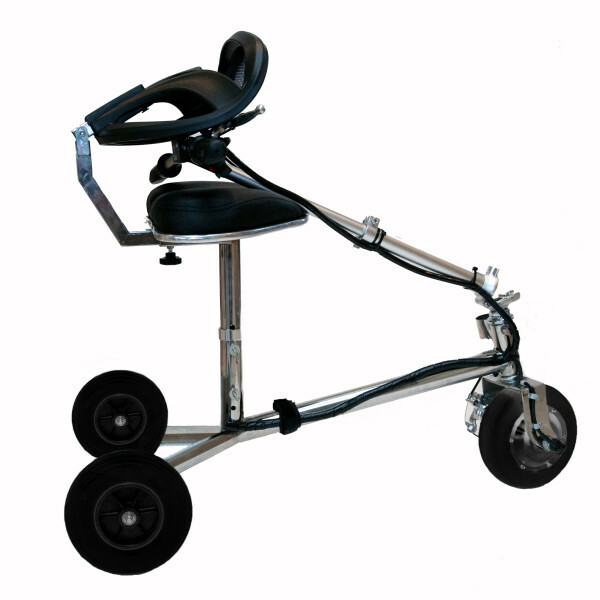 Easy to use, adjustable, foldable, portable scooter. Fits in the trunk of most automobiles and in all SUVs and vans. 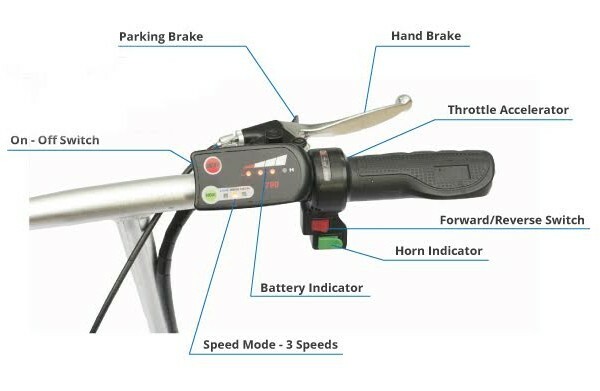 Scooter includes both forward and reverse modes, three speed-settings, a battery strength indicator, a weather resistant front wheel drive motor with disc-brakes, a parking brake, an adjustable comfort-designed seat as well as an adjustable steering column. SmartScoot often includes LED headlight, horn and cane holder accessories packaged in. The SmartScoot also allows for adjustments to numerous parts for the comfort of the rider including seat height, backrest, steering column and wheel width. 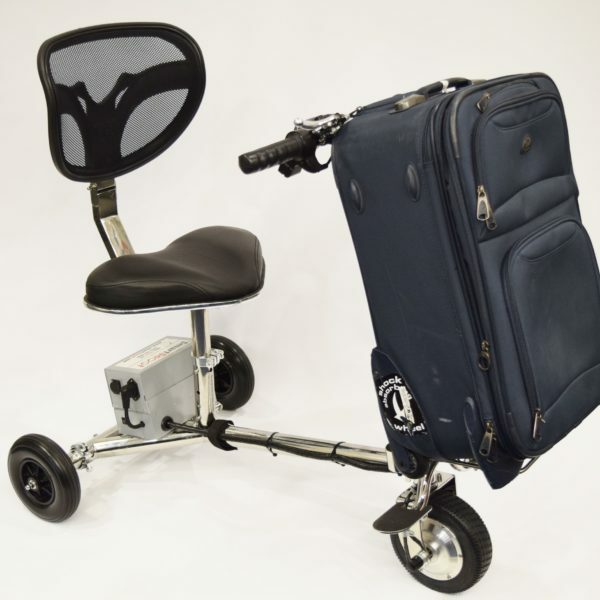 SmartScoot can fold for quick storage, allowing storage quickly in a trunk or other small space. You can remove the seat and the battery or just the seat. The SmartScoot lightweight, portable scooter weighs slightly less than 40 pounds when fully assembled. Its heaviest piece is 27 pounds. So it’s up to you how far you want to fold. 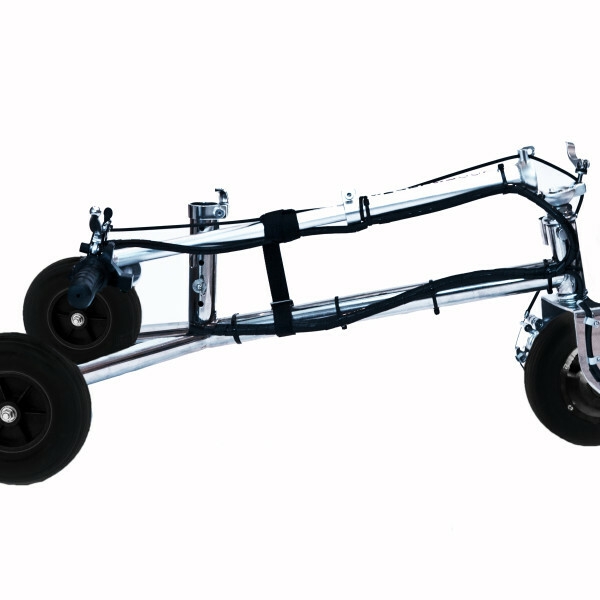 Safety features: The third wheel allows for more stability and the front wheel motor doesn’t have any belts or exposed parts, which improves steering. In addition, front disk brakes ensure strong stopping ability on wet surfaces and declines. 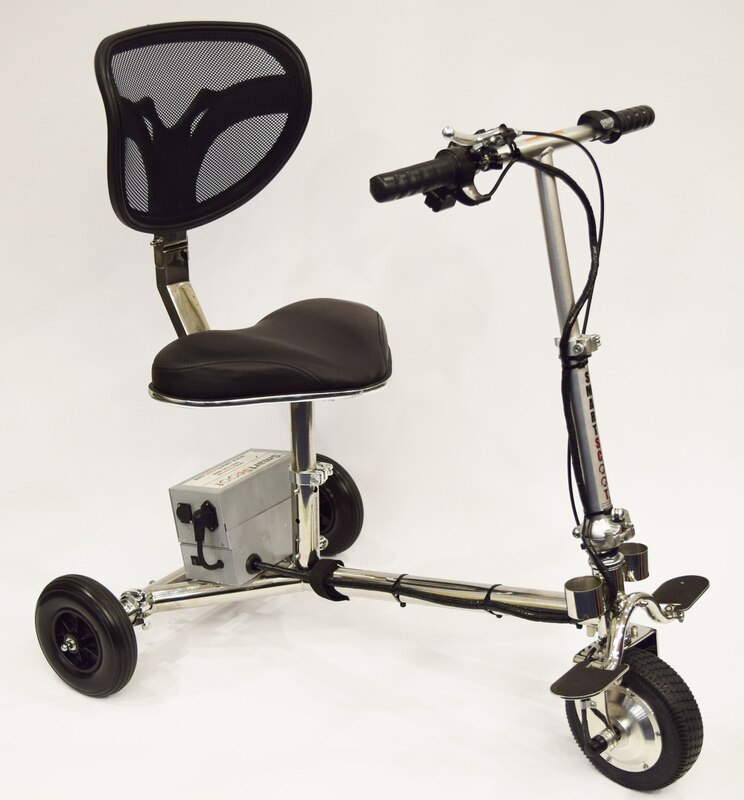 The SmartScoot lightweight mobility scooter also comes with safety instructions and minimum usage requirements and abilities such as good vision, strength, coordination, balance and concentration. 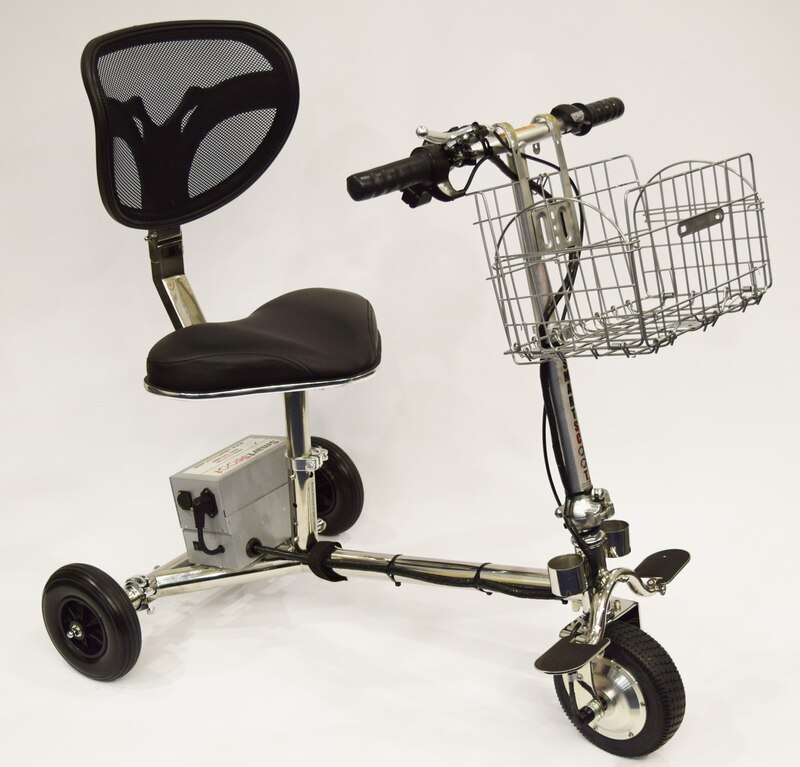 SmartScoot comes with the scooter frame itself, a rechargeable lithium-ion battery, a battery charger, as well as a removable front basket and luggage rack. Warranty – 2 years on the scooter frame, 1 year on all scooter parts and batteries. Don’t take our word for it – read testimonials here, full specifications here and take a look at the available accessories. Not every portable scooter is the same! When you shop online make sure to carefully compare these travel scooters before you buy. Did you check out the seat and the backrest? 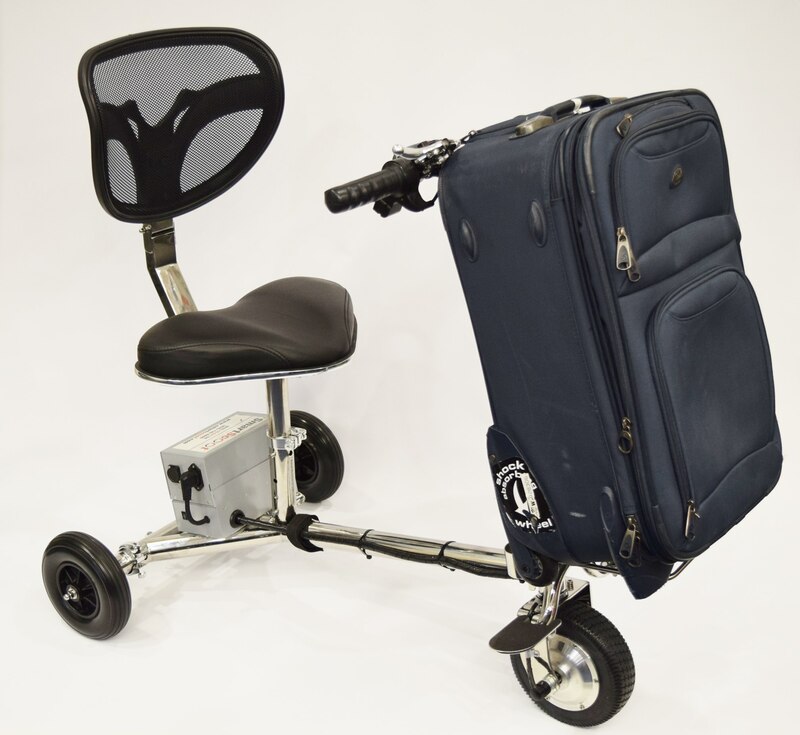 Lightweight is important but you’ll be sitting on this travel scooter a lot as well. A good seat and backrest make a big difference. How easy is the folding and unfolding of the scooter? 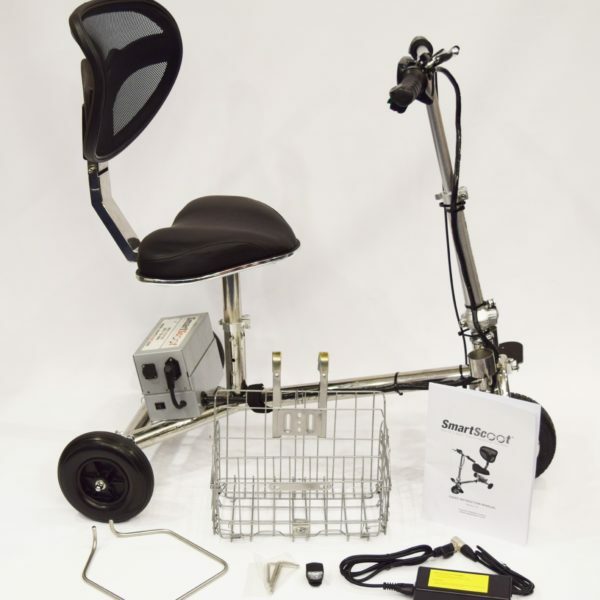 This lightweight scooter comes with FREE SHIPPING and on this website, you’re buying straight from the makers.